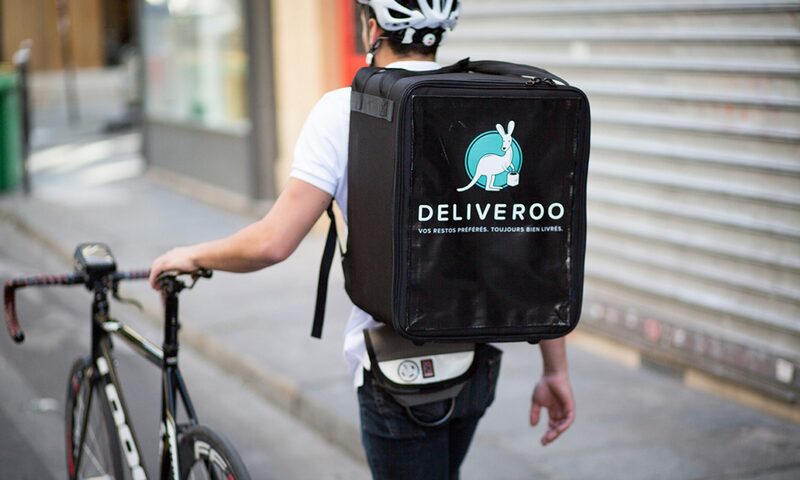 The Deliveroo box is the iconic symbol of the company. It can be spotted from miles away as a rider wobbles through the streets wearing it. Every rider has one, so what’s it really like to use one? The Deliveroo box is huge. Actually, it’s massive. Cycling with this thing on is really as bad as it looks. When you’ve got a whole family’s Wagamama order stuffed in there, it’s hard enough just to get on the bike, let alone cycle through traffic to the other side of your zone. However, to be fair the box does have some good straps and a chest buckle to try and minimise the shaking around, but there are sometimes where this has little effect. The other thing to notice is the price, it costs £50! Crazy! This is a price which came out of my paycheck right at the beginning (Deliveroo have now started helping riders out with the cost of the gear). The problem is that the quality is pretty poor. My zip tore off after a month of delivering. I couldn’t believe it! A £50 bag only lasting a month! I strapped a bungee around it to make it remain closed, but I do always wonder when the moment will come when that gives way and someone’s Nando’s is going to go flying all over the road. The back is reflective which is good. The whole panel is this reflective material which shines bright like a diamond when a car’s headlights point at it. It’s actually a really clever safety feature which makes me feel a lot better when cycling in rush hour. I guess it kind of counteracts the danger of wearing such a huge bag. The last annoying bit is the aerodynamics. This bag is like wearing a huge sail on your back. Any slight wind and you’ll feel like you’re trying to cycle up a mountain. Deliveroo has come out with a new bag! This is a roll top bag (much easier to fill) with the same reflective coating to it. Because it’s not a rigid box, it’s going to have a much better fit to your back (less shaking around) and it will be a lot more aerodynamic. Good on you Deliveroo! Like this article? Read my post on how much the Deliveroo kit costs.